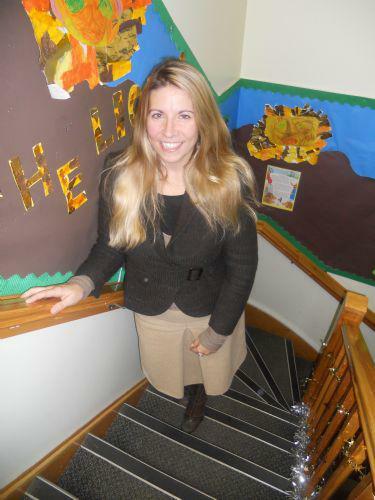 Miss Symondson is The Executive Headteacher for the three schools within The North Cotswold Schools Federation (NCSF). Prior to this role, Miss Symondson has been Headteacher at Cold Aston CofE Primary School for seven years. Miss Symondson has been a highly successful headteacher achieving results in the top 1% nationally, achieving an Outstanding Ofsted grade under the new stringent Ofsted regime and has written for The Parliamentary Portfolio on Achieving Excellence in Schools. Miss Symondson is also one of the representatives for The North Cotswold Cluster of Primary Headteachers at the Gloucestershire Association of Primary Headteachers. Miss Symondson has also obtained the National Professional Qualification for Headship, the National Award for Special Education Needs and a diploma in Leadership and Management. Outside of school Miss Symondson's favourite hobbies are rowing and open water swimming. This and the training it encompasses takes up most of her free time but you may find her tinkering on the piano, guitar or cello! Miss Hewitt has been at Cold Aston for four years now and has led the Early Years Foundation Stage brilliantly during that time contributing well to our 'Oustanding' Ofsted grade. Miss Hewitt will continue to teach the Reception Class. Miss Hewitt has been the Early Years and Mathematics subject leader at Cold Aston for the past few years but will now take the lead for these teams across the NCSF. Within her Senior Leader role, Miss Hewitt will be responsible for leading the work around pupil premium and safeguarding within Cold Aston and across the NCSF.